Pioneer mission worker Daphne Kabeberi is pretty unusual on the Edinburgh council estate of Niddrie. 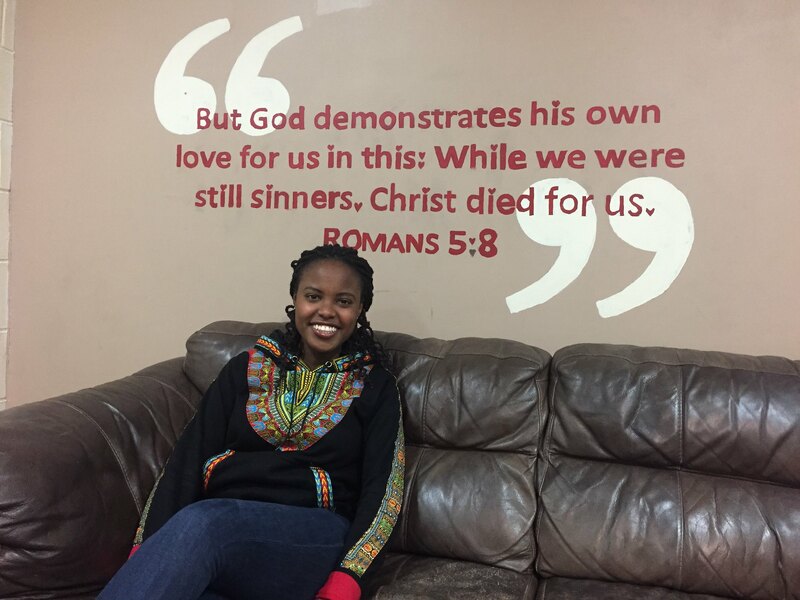 Not only does she have a passionate heart for the gospel, but she has yet to meet anyone else from Kenya since she arrived in Scotland at the start of August. Daphne, 26, is the first person to join our pilot Engage programme, which seeks to bring workers from the global south to join church teams in the UK. She is now part of the staff team at Niddrie Community Church and primarily responsible for outreach to the growing international community in the local area, running English classes and building relationships with women. She also does some children’s work and helps out in the church cafe. Daphne says, “I wasn’t sure how I could be of use here, even though I was aware Britain was ‘post-Christian’ and in need of the gospel. In Kenya, the gospel is not preached very well, if at all, and there is a lot of emphasis on the prosperity gospel. In Britain, there just doesn’t seem much interest in the gospel and that is sad to see." Her journey from Emmanuel Baptist Church, Nairobi to an Edinburgh council estate (or ‘scheme’) started in 2015, when Niddrie pastor Mez McConnell visited Kenya to speak about his work. The following year she met Serving In Mission’s UK Director Steve Smith in Kenya and then applied to join Engage. The connection was cemented when one of the Niddrie staff team, Sharon Dickens, came to her church and spoke at a conference on women’s ministry. 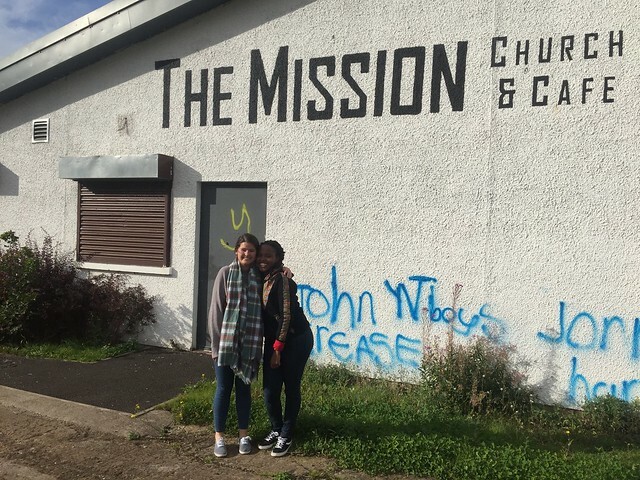 A key part of the Engage programme is finding the right UK church for an overseas worker to join, so it seemed clear Niddrie was where God wanted Daphne to be. She comes from a Christian family, but only made a real personal commitment to Christ in secondary school. She became more and more interested in mission through university, where she studied engineering. After graduating, she worked as a church intern and was well-discipled by the solid teaching at Emmanuel Baptist Church. At the time, she had a vague notion that she might become a mission worker in Europe or Africa, but decided to apply for Engage at the prompting of her pastor. That was a big step for someone who had never left East Africa and there are many things about Scotland which have surprised her. “Yes,“ she said. “Lots of things surprise me – the price of a bus fare and how much food is thrown away. At home, there is always someone we can give leftover food to. We don’t throw anything away. I’m also shocked that I’m not allowed to hug the children in the groups – that is such a natural thing to do in Kenya and we do it all the time with the children in church." Daphne has left her mum, younger brothers, dad and boyfriend in Kenya and is grateful that the internet allows her to keep in close touch with them. She is also hugely grateful for the new family she has found in Niddrie, where she lives with pastor Mez, his wife and their two teenage daughters. Daphne says, “It is very exciting to be working here and I am really enjoying it. The people have been so welcoming and friendly and I know I am with family — my church family, my brothers and sisters in Christ." “I’ve settled in well and I’m involved in a lot with the rest of the team. I’m starting to make some friendships with women outside church by going to community activities like exercise classes.